The human brain is the nature, or God’s best creation needs training in the initial stages to function correctly. Also, only proper and good training could make them geniuses like Einstein and Hawking. Similar to humans chatbots also need training and could learn on their own over time. Practice makes a man perfect is an old saying which squarely applies to chatbots also. Only with proper training the infancy stage of chatbots now could advance to new unimaginable horizons in the future. If someone thinks training chatbots is hard, then they should try losing. Hence to train the chatbots for easy understanding of even the non-technical people only will bring a bright future to it. For organizations, even one lousy chatbot experience will cost them dearly. As per the DigitasLBi report, more than 73 % of Americans confirmed that they would stop using a company’s chatbot after even one bad experience. Another report of Mindshare says that nearly 61 % of people find It extremely frustrating if the chatbot is not solving a problem vs. a human. But with predictions of 4.5 billion dollars investment expected in chatbots by 2021 by Opus Research, it makes training chatbots a crucial factor for organizations. Only it will help them to sustain and succeed in business beating their competitors. It is because as per the Mini browser,95 % of consumers confirm that customer service is going to be the primary beneficiary of chatbots. Already many call centers are using chatbots for better and cheaper customer interactions. Simply launching chatbots will not serve the purpose of ensuring success. You would need to hire a chatbot developer for all procedures of developing a smart chatbot. The proof is out in the open with only a few producing regular user engagements out of the 30,000 bots on the Facebook Messenger platform. They are even poor for a material boost to their bottom line. Only with proper training chatbots won’t stop failing. Since chatbot communication is the new way of business communication, it is critical to adapt to it. It is to improve the interactions with customers and also for the betterment of customer experience which alone could assure business growth. Small talk can lead to big business. It is the big mantra going rounds among the tech titans. It is the reason for their insane investments of billions of dollars into conversational AI. They are in the process of replacing human labor by automating business operations. And chatbots are the primary beneficiaries of these developments. The result of these investments and developments seems to yield profits already. 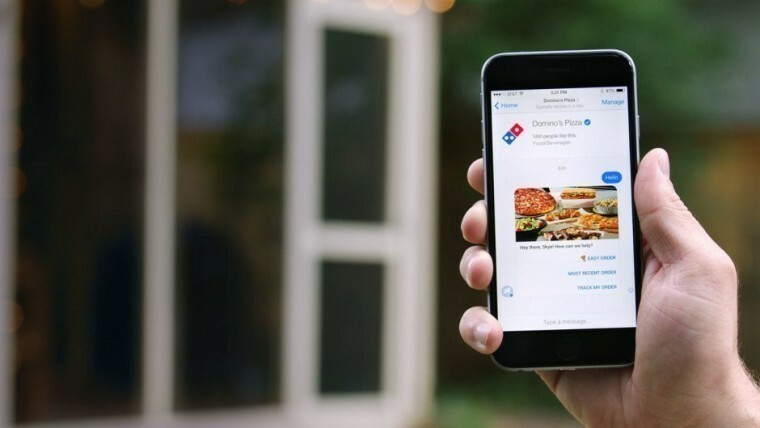 The mobile AI assistants have exceeded predictions by closing online sales to the tune of 2 billion dollars in 2016. And As per an Oracle survey, nearly 80 % of businesses want chatbots by the year 2020. Also, a Gartner prediction of customer engagement without human intervention by next year adds fuel to the fire. Businesses of all scales and verticals are training specific chatbots to be more responsive like the way people speak. But all these predictions cannot fully confirm AI to master human language. 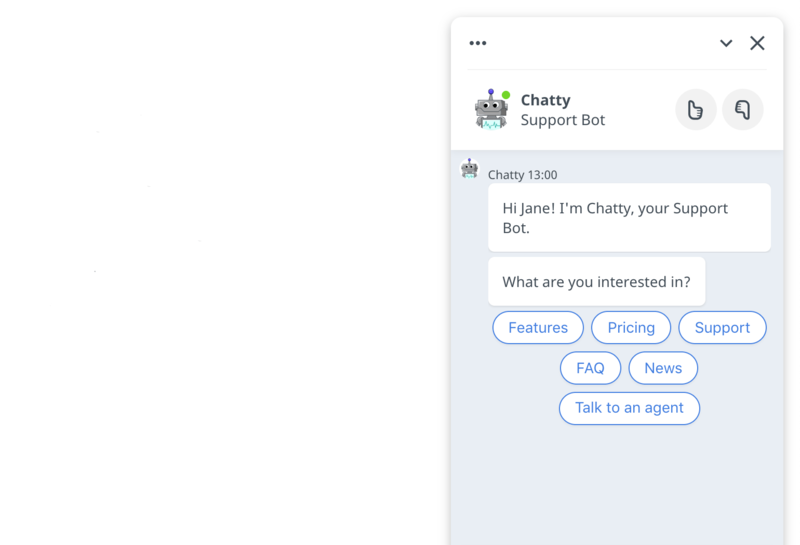 Gone are the days of just building a chatbot by connecting to some APIs and writing or copy-pasting some code lines to develop chatbots. As in life, it is always easy to take the wrong route. And as per conventions, it will ultimately fail, and it is more accurate with chatbots. Making a failing chatbot is easy. But as usual, the hard work and innovation along with implementing a process for training the chatbot is the best way. A chatbot is only as good as the given training by its chatbot developer. 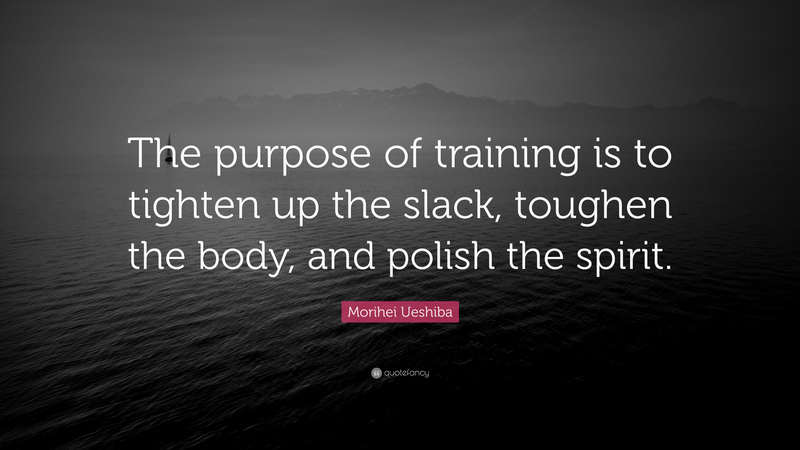 And another important factor is that the quality of training is just as good as the training data. But fortunately by observing the human conversations and that too from the best conversationalists’ chatbots can learn lessons. Training with some extraordinary datasets can elevate the conversational flow of chatbots. If not so then chit chat with customers will only inspire trash talk rather than successful transactions. For developing chatbot to be user-friendly and training it for non-technical persons, it is crucial to define the conversational flow or Decision Tree. Visualizing the complete structure and content is essential. There are several successful online chatbot tools to select to meet the end goals of businesses and their customers. Words symbolizing greetings should be like ‘Hey,’ ‘HI,’ ‘Hello.’ Chatbots should answer that in a way to portray the description of its functions. It could be the best of way introducing the chatbot to the user. Some users may start the conversation like ‘How are you,’ or ‘How is it going.’ In these cases, the chatbots should maintain simple their basic function conversation. Stickers including likes, cats, and also standard Facebook emojis will be of the epitome stylist way. Some users may start with ‘Help’ to want to know how to initiate interaction with a chatbot. So the chatbots should provide a comprehensive answer or list out the things it is capable of helping the user. Doubting users may start with ‘Are you real?’, or ‘Are you a bot or a human?’. In these cases, the chatbots should have the personality as if it is a human. Users may think chatbot as a game and could ask like “Make me laugh with a joke’, ‘will you tell me a joke.’ The chatbots should answer with an icebreaker. There are the love or the romantic types who could say ‘Love you,’ or ‘Luv U’ which could be answered by the chatbots with the same coin. The ending of many conversations is with words like ‘bye,’ or ‘thanks.’ Chatbots should reply appropriately ending the talks. There are many most popular chatbot development platforms from almost all the tech giants now. It is better to choose the right platform to make for easy training of the chatbot trained for non-technical persons. Also planning for the intents and entities for NLP or Natural Language processing model is crucial. The chatbot conversations should be as simple, sensible and realistic as possible for better user engagement. And that too for a non-technical person it is of paramount importance. If the conversations create inconvenience or even a bit of disappointment to them, there is more chance for adverse impacts. Straightforwardness along with simplicity should be the core and not compromised even experimenting innovative ways. Whatever the complexity of the process it is significant to make sure the user is not forced to adapt too much for each scenario. Training simple and realistic chatbots is a lot easier than complicated ones. For all stages of chatbot development, it is the target persona which is the focus of the developer. Only the target audience could develop the chatbot, and it’s business owner’s prospects. Hence while the training stage of the chatbots also it is not exempted and the target persona is of prime concern. The knowledge of the target audience of the chatbots is crucial for its consistent flow, voice tone, and vocabulary usage. So it is necessary to collect client’s data and analyze them. Next step in analyzing is to identify patterns or things that are more common for the target audiences or customers. Highlighting the things that connect them by also analyzing their conversations may be of help. There could be multiple buyers or user persona created than a single one as per the need. Figuring out the main clients’ request is the next step. Taking help from customer care or tech support will help in understanding their main demands. It is from the main reason the clients contact the company could be their main request and other prevalent issues the developing chatbot needs to handle. At this stage of arriving at the main requests of the clients, it is not necessary to be specific. It is better to understand many main types of problems the users may have for chatbots. Different kinds of content, tone, emojis and many others will help for a productive and successful conversation with chatbots and its training. For example, many customers may be inquiring about the time of delivery. When will the delivery come? How soon is the delivery possible? Will there be any delay in delivery? Categorize all these and many more regarding delivery requests as “Delivery”. in a similar way categorizing all other topics which are the main issues, or the requests of the customers will help training chatbots also. After creating categories, it is critical to fill these categories or groups with different types of “user says.” It is to be as many as possible for requesting the same thing. The more the number of alternative or more data the better the chatbot training is possible. It will also be user ready for real interactions. Data being the fuel for the chatbot machine and oxygen for its conversations it is of prime importance. Collection of more data makes the chatbots more active and in turn, makes it more productive for its companies. Also, training chatbots with more data are the best and only way for their excellent efficiency. In the case on non-availability of previous in-house data or for new companies the premade datasets are a boon for training chatbots. It also comes handy when there is a necessity to train the chatbots NLP fast. These premade datasets shave all the questions and answers of nearly all major essential topics. The datasets apart from the Q/As have some basic dialogs and conversations. It will be of great help to the chatbots at the beginning of the training stage. Also to have an effective chatbot it is necessary to have massive quantities of training data. It is the best way for solving user inquiries without any human intervention whatsoever. But the biggest hurdle for these datasets is that they have to contain realistic, and task-oriented dialog data. It is necessary for training machine learning chatbots. These datasets are in the form of both questions and answers and mainly used for chatbots of academic purposes including research. This type of datasets includes Wikipedia articles generated manually as questions and answers from them. Question and sentence pairs it the main constituent of this corpus. For research and open-domain Q/A, it is the best collection of clear explanations. The real user needs are better reflected by this corpus. By way of using query logs as the question source, it provides answers. It is possible by linking it to the Wikipedia page. It is from the Yahoo Answers of Yahoo that contains the manually curated question and answers datasets. It is functioning from 1999 as a question answering track For open-domain and closed-class questions chatbots can retrieve small snippets of text from each track for the defined task. This kind of datasets helps in customer support of organizations for which the chatbots function. More than one million of two-person conversations are available with this corpus. It was possible from extraction from Ubuntu chat logs which it received for technical support for a variety of Ubuntu related problems. An astounding 930,000 dialogues and more than 100,000,000 words are available with this corpus. It is a collection of four different sources and here commercial customers services of travel-related customer service data. It is on Kaggle containing more than 3 million tweets. It replies from the tech giant Twitter. IRC chat logs are automatically generated by it. It is available in RDF from 2004 daily which provides for time stamps and nicknames. NUS corpus is primarily for translation. It mainly helps social media text normalization. It consists of more than 2000 messages from NUS English SMS corpus. Translation of it to the Chinese language is over now. The exciting fact about his dataset is it contains the negative feedbacks from customers. It is due to the dissatisfaction of companies for various reasons by the customers. These datasets are available in two languages of English and Italian. Also for Sequence to Sequence models, there is a need for some conversational logs. The encoder-decoder network needs to be able to understand different types of responses for all queries. Microsoft Research Social Media Conversation Corpus is one good example of such dataset. Facebook has a feature for its users to download a copy of all their FB data. It will contain all the messages, photos, all-caps, cringe-filled statuses and many more. Google Hangouts is one such good source of chat data which is possible to extract from it. Linkedin, SMS Texting, Tinder, Slack, and many other sources provide data for chatbots. For any chatbot to understand the context of the users’ conversation is crucial for making things easier for the user. Only testing the developed chatbot with the real user will provide the key metrics. By observing the conversation for the following key metrics and others, is the best testing method. A well-known client or customer can perform the function of the real user. But again because of the familiarity with the company bias will come into play again. Another option is to test current customers with new offers like discounts and coupons. It could yield somewhat good results. A different option for testing chatbots is crowd testing. Since many chatbots fail due to lack of awareness of the way the end users’ requirement. Also, there may be many issues relating to the failure of chatbots. Hence many testing platforms and services are not available to test chatbot for its efficiency. Many such companies like Reddit offer to connect with real test users or with beta testers by subedits like TestMy App. This kind of testing is called crowd testing. Some websites like BetaFamily also does crowd testing. Also, it is possible to hire companies or even a Q/A engineer to help with testing the chatbot. While hiring these testers, the cost put into pre-deployment reduces the cost associated with the changes during the post-deployment. Record and Run, an automated regression testing tool of this company can record test cases. Also, they run them to check the chatbot for its effective working all the time. It provides crowd testing by cloud SaaS and also a report within 24 hours. It gives both the opportunity of testing the chatbot and also to register as a tester. Testing to improve the personality of the chatbot is its specialty. Its access is only to beta users, and their plugin is also available for Chatfuel. It helps in automating the regression testing. It also has an on-premise solution for testing management platforms. 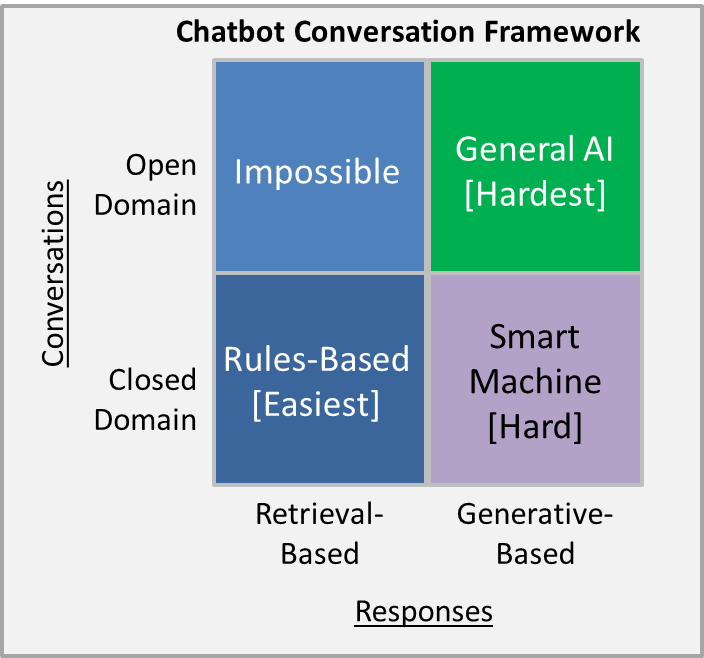 It is more of a guide to identify the chatbots’ design issues by way of seven different categories. It offers data model testing and also compares the performance of training data across many NLP providers. Chatbots still being in the stage of infancy there is always possibilities of improvement even after launching them. The interactions with day to day additional of data may increase the chatbots capability. Hence accordingly the improvements to them are possible which could increase conversions. For many chatbots, after some time of its interactions, it will become clear that sustained conversations are difficult to maintain. Also, the chatbots cannot connect thoughts as some of the responses will seem random and incoherent. It will bring in more room for a lot of improvement. Hence it is critical to continually improving the chatbots. It is better possible by analyzing its interactions with users over time. It will enable to identify the trouble areas to fix them immediately for better performance. There are many ways to improve chatbots to more intelligent and engaging interactions with customers. Incorporating with additional datasets will remove individuality of the chatbots by learning from a more extensive conversation corpus. Also since it comes out of its niche set of data, there is more possibility of realistic conversations. Be capable of handling scenarios where the encoder message has nothing to do with that of the decoded message. In other words, when the chatbot ends with the day with a topic of conversation and starts with a new one next day. It will affect the model’s training and should be handled accordingly to avoid it. Weak spots tracking and how seamless or smooth are the chatbot operation by connecting with analytics. Some may not support the integration of analytics, and some may have built-in analytics. The central part of using analytics is with the help of statistics and users’ feedback to improve the structure and flow of chatbots. 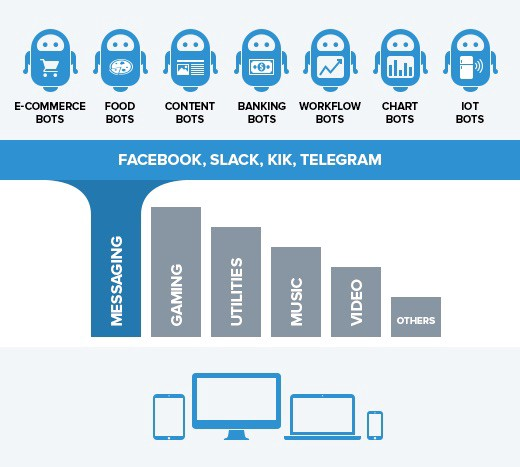 There are also some primary innovative and imaginative measures and steps that could help in continuously improving the chatbots conversions and success. Empathy is not a virtue for most of the human beings. But all humans expect empathy, and if they could get it with a chatbot, they will be happier. Hence making chatbots to empathize with people will bring in better interactions and with it more conversions and success. Empathy is essential in situations like heated arguments which involve criticism, and negative emotions. Humans generally in these situations respond with more defensiveness, denial, more heated debates, and negativity. Hire a chatbot developer or use chatbot maker to give the chatbots the ability to opposite the human reactions. Good chatbot developers solve this kind of tricky situations by empathizing with the users. Even though if the user is wrong just by acknowledging and validating an emotion with empathy allows the customers to release negativity. Failing to do so will result as in human case will only exaggerate the issue. But all the above responses will only aggravate the user intolerance and increase their frustration and irritability. It is because they are useless as they do not have any empathy in them. But just using sentences with empathy will cool down the users and make them properly find ways for their issues. I fully understand your problem and feel sorry for not helping you. But you can call xxxxx for customer support to solve your problem right now. The design of many of today’s chatbots is to be transactional or only to assist a user in accomplishing a particular task like ordering coffee, change flight schedule, or book tickets. But most of them fail to make their capabilities clear at the outset to leave the customers guessing at the possibilities of it. Hai, I’sm xxxx bot. How can I help you today? The users’ ability slows down only due to the lack of setting up the scope of a conversation up front. They are not sure of the chatbots capability and hence unable to complete the desired vital transactions. Also, this leaves room for more costly interpretation errors. But intelligent and engaging chatbots opens up conversations with a consistent menu of offerings. It may be on any platform offerings like Facebook, Telegram, Slack, SMS, etc. By giving proactive guidance, it is possible for chatbots irrelevant of their primary function they help in smooth conversational experience. For example, an entertainment-focused chatbot or a different kind like utility chatbot giving guidance will make them better. Not only it will cause to offer a wide range of surprising options but also a seamless and smooth conversational experience. Just imagine a conversation in which a person forgets your name in the middle of it. This kind of situation arises with many conversations of chatbots even today. It will harm the user because of the bad feeling. Which is the good restaurant in LA? It only is similar to the haunting experience of the passing of customer service calls to many agents. It needs to repeat to all the agents, again and again, the account credentials and the problem at hand. It is not the kind of situation for customers to experience while interacting with the chatbot. To avoid putting customers through this kind of awkward situation it is better to make them remember personal details. The chatbot’s value depends on the customers’ specific parameters like their name and location. In that case, there is no excuse to not retain for referencing it throughout the conversations. Do you still require the best hotel recommendations in LA? Can this order sent to the previously given delivery address at 1234, Lower Manhattan, NY? The far better solution could be integrating the chatbots with the company’s CRM. It provides proactive, personalized interactions based upon each customer’s known preferences and history of transactions. If it is not possible, it is better to train the chatbots of the basic manners of remembering personal details. During any human conversations, any patient person could be frustrated if the other one keeps repeating the same sentence. It is the same kind of feeling with most of the chatbots today. Irrespective of the users’ requests they keep repeating the same answers to irritate the user to hate the chatbots which are not good. It is possible to illustrate this with an egregious example like Flowers Chatbot on Facebook Messenger. It presents the main and sub-categories to choose the right bouquet. But, once if it goes to the subcategory, it is not possible to come back to the main category if the user wants from it. When the user inquires about the bouquets from the main category, it starts repeating the list of bouquets only from the subcategory. The user is unable to choose the right bouquet and gets frustrated. To add salt to the wound the chatbot continues to repeat the list of bouquets from the subcategories. Chatbots should be able to detect when they are repeating previously given answers. They should be able to switch strategies to answer in a better way than the broken record way. Okay, something is not working. Let’s try this differently. I am sorry my suggestion isn’t working, please let’s start anew with other options if you try to delete this conversation. These kinds of exciting answers could bring in the smile and the lost happiness in the rigorous schedule of the user. Hire a chatbot developer who could bring smiles to the users for better chatbot development. Humans have supervisors to escalate the functions of employees. They are well versed to know when and how to create chatbot. But for the chatbots still, it is not time for genius visionaries with superhuman AI supervisors to do it. Hence it is necessary for humans to do the escalation work. In case of lack of human agents or staff, the chatbots could route the user to a support email. Looks like I am unable to solve your problem. Can you please give your email address for further suggestions? Maybe it’ll be easier for you to decide between options in a browser. Here’s the link to the website where more bouquets are available in your area. I am sorry for your frustration. Can I link you to an app or to a human agent for better suggestions? Most of today’s chatbots answer like robots. It not only makes conversations and interactions with users uneasy but also could be counter-productive. No user wishes to continue interacting with chatbots behaving like a robot messenger. Hence to train chatbots not to sound or act like robots are critical for ensuring better success. Add more personality to the chatbots by using appropriate things like Avatars, Names, Biographical background, and Humanizing assets. For training chatbots, it is essential to support them in all ways possible for better successes. And more importantly, it is a necessity during the initial stages of launching the chatbots. It is because only during this stage more of issues and problems will arise. Also, with time the chatbots with more of data will learn on its own with the help of ML. To support chatbot in the initial stages it is better to have a person monitor its working. The primary task will be to take over the communication process during difficult times of the chatbot. It will help not only avoid losing leads, conversions, and clients but also improves the chatbot functionalities. Also, make sure to have the addition of a Live Chat option in the form of a button. Or the other option is to train the chatbots with NLP to understand the users’ requests. Again, it is important to able to contact the real human agent if something goes wrong. As human life is a process of learning till the end, chatbots need training for their success. Also, it ensures to be ready for the unlimited and unimaginable future of AI-powered chatbots. Only constant training of chatbots makes them smarter and more innovative with machine learning for a better future. Monitoring and upgrading chatbots still do the training including escalation. It will continue till the AI becomes a superpower to do it on its own and that is not far. The training is either by human effort or by scheduling regular training cycles and incorporating new utterances and conversations from real users. It is advisable to hire a chatbot developer with the necessary skills of chatbot development to train chatbots. The chatbot is only as good as its training by smart chatbot developer. Bot service deploys new and innovational ways to train chatbots to increase conversions leading to business growth. Chatbots are fast replacing humans in not only customer service of businesses but also in many sectors. Gone are the days of unnecessary high touch interactions, long waiting times, and rude, dumb or incompetent agents. Now is the new era of AI chatbots with training to give the best benefits of humans without their drawbacks. But like humans, chatbots’ conversational skills make or break business now and more in the future. Nowadays to build a chatbot, it may cost 0 dollars to more than 1,000,000 dollars. But only proper training is the best way and the only viable solution for successful business growth. Hire a chatbot developer to get the best benefits of human touch to chatbots but without their drawbacks. Chatbot development is at a rapid pace with an increase in demand for intelligent and engaging chatbots. It is the training by chatbot developer to make them easy even for nontechnical persons. Training chatbot is not an easy task. It requires focusing on the target audience, categorizing & creating data sets to testing, improving and supporting chatbots. All this is necessary for the best of training to get the best from the chatbots for better conversions and successful business development. Training of chatbot is similar to that of the chicken-egg theory. Whether it is the training which makes the chatbot smart or the chatbots training themselves by ML, make them smart. Training of chatbot for even non-technical people will play a significant role in business growth. The 24/7 365 working PAs or chatbots needs top chatbot development services to develop intelligent and engaging chatbots. Chatbot development companies are doing roaring business with skilled chatbot developers for the best chatbot development to provide world-class chatbots. If you like this article tweak below and any suggestions are welcome, also, if there are any queries I am ready to answer 100 %, just like a chatbot. How To Build An On-Demand Packers And Movers' App?